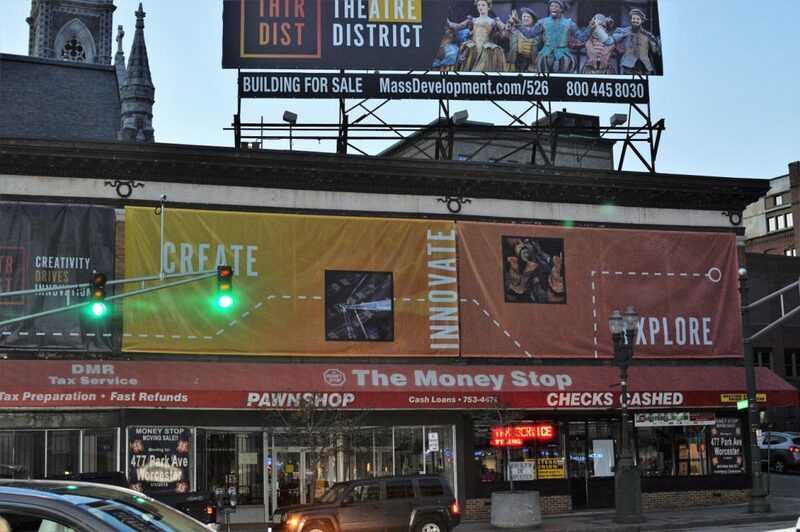 MassDevelopment bought the Money Stop building downtown in June. Now it's looking for a permanent owner. With news of the city moving toward acquiring 517-521 Main St. — a troubled, but key, parcel in its 2016 Downtown Urban Revitalization Plan — a nearby property also expected to be a major piece of the puzzle appears closer to joining the renaissance. But it won’t come cheap. MassDevelopment, which bought The Money Stop building at Main and Chatham streets in June for $800,000, issued a request for proposals and qualifications last week, opening the door for potential developers and investors to bid on the 27,000-square-foot, two-story structure that dates back to 1893. The RFPQ is supplemented by a number of supporting documents, including a due diligence report prepared by CSS Architects of Wakefield, which revealed a litany of required and suggested improvements to the building expected to cost millions of dollars. A hazardous materials survey conducted in July by CDW Consultants of Natick identified small amounts of asbestos in various building materials. CDW also found potential contamination from the basement’s 330-gallon, above-ground fuel-oil tank. While the reports are solely focused on 526-538 Main St., they also provide a window into the conditions developers may face in taking over many of the aging, sometimes neglected buildings that make up the majority of the Worcester Redevelopment Authority’s downtown renewal outline. Earlier this year, the condition of the rear wall at 521 Main St. became so perilous the tenant, the Great Wall Chinese restaurant, was forced to close — eventually permanently — and on May 30 the city ordered that the wall be demolished and rebuilt. Now the city, according to the Telegram & Gazette, is nearing a deal to acquire the Great Wall building and its neighbor, the property housing MetroPCS at 517 Main St. There is also a private party interested in buying the properties, Chief Development Office Michael Traynor told the T&G. Expected to move by March 2018, according to the 18-page RFPQ, The Money Stop business will be out even sooner — by Jan. 1, according to its website — and in its new location at 477 Park Ave., current home of Starlight Laundromat. The property’s other tenant, The Muse bar, has a lease that runs through 2019 and includes options for two more five-year terms. In a September story in the Sun, Muse owner John Rinaldo said he wanted to remain at 536 Main St. and be part of the new downtown. “We are looking forward to the plans of the city and to see where we stand after the purchase of the building,” he said. The Money Stop, a pawn shop, with check-cashing and tax preparation services, has occupied the majority of the building since 1994, including storage in the otherwise vacant second floor and basement. The adjacent Muse, a bar featuring art and charcuterie that opened in 2015, occupies a portion of the first floor and about one-third of the basement. “The property appears to be in good to poor condition due to the condition of roof which has numerous leaks; the brick chimneys and facades which are in need of repair and water infiltration in the basement,” the report reads. The roof, which hasn’t been addressed in an estimated 30 to 40 years per the report, will have to be a major focus. “Judging from numerous leaks the roof system is in very poor condition,” according to CSS. CSS estimates the repair costs for the roof at up to $385,280. Storefronts, windows and doors ($469,900) and heating, ventilation and air conditioning ($457,000) are the only components that would cost more, per the report. The Roman-style yellow clay brick facade, primarily seen on the Chatham Street side of the building, is in generally good condition, but the storefronts, facing Main Street, and the rear of the building, facing an alley, have significant challenges. New windows are needed throughout. Wood frames and ornature are deteriorating and rotting. Egress doors and canopies — “in very poor and unsafe condition,” the report states — need to be replaced. New storefronts, awning and signage are recommended. The fire protection system appears to be nearly 100 years old, according to the report, and must be replaced, along with the separate fire alarm system, which fails to meet several code requirements. The report recommends a complete removal and upgrade to the HVAC system in all areas of the building, including ductwork and rooftop units. Optional site tours are available for potential investors Wednesdays, Nov. 15 and 29. Proposals are due back to MassDevelopment by Jan. 30. The building has an assessed value of $1,178,400. CSS and its partners conducted site studies in February and March. MassDevelopment will assume responsibility for the fuel tank replacement. The property is formerly home to Mac-Ben Sporting Goods, Liggett Prescriptions and Worcester Phonograph Co., among others. Suggested uses for the updated building include a restaurant for the first floor, retail on both floors, and/or residential on the second floor.